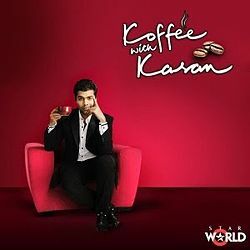 Jaquar Group, India’s leading complete bathroom and lighting solutions brand, has joined hands with Star World for its flagship show-Koffee with Karan. Jaquar Group is the official lifestyle partner for the sixth season of the show starring star host Karan Johar, which premiers on 21st October. As the style partner of the show, Jaquar Group will refresh each guest with its most extensive and wide range of concepts and products!